The jazz festival being something of a theme in this month’s issue, here’s an anecdote that comes from the man who invented the jazz festival, namely George Wein. As the jazz impresario tells it, he was with Thelonious Monk on a European tour. They were necessarily at each other’s sides day and night for the duration of the tour. 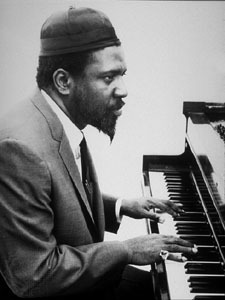 And at all times, Monk wore the same hat: the distinctive fez that is almost a Monk trademark. One morning, though, Monk showed up at the breakfast table wearing a different hat. Wein was stunned.